THIS IS A FREE CONCERT. BUT, YOU NEED TICKETS TO ATTEND. 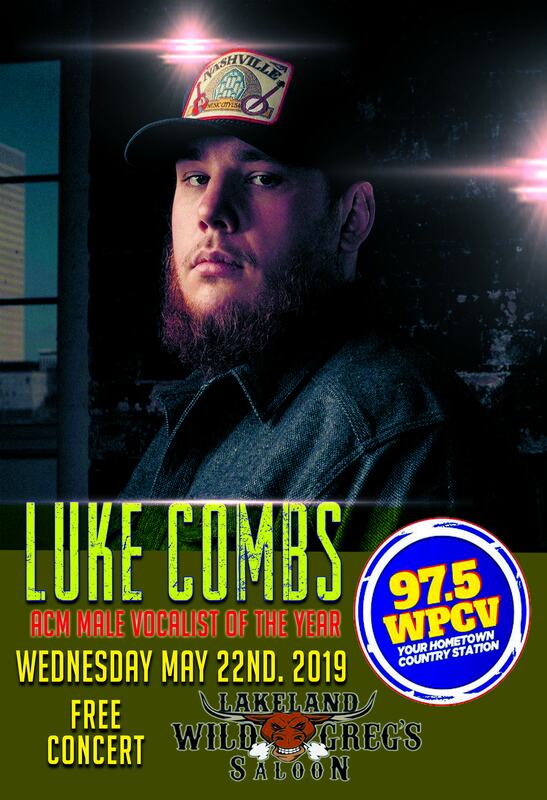 IN ORDER TO WIN TICKETS LISTEN TO 97.5 WPCV FOR DETAILS, OR COME TO WILD GREG'S SALOON LAKELAND STARTING APRIL 17 THROUGH MAY 18TH. WILD GREG'S SALOON WILL BE SELECTING AT RANDOM 10 LUCKY WINNERS NIGHTLY TO EACH RECEIVE A SET OF TWO TICKETS TO THIS LEGENDARY CONCERT EVENT! !